운문사에 있는 이 탑비는 고려시대 중기의 승려 원응국사(1051∼1144)의 행적을 기록하고 있다. 원응국사는 일찍 출가하여 송나라에 가서 화엄의 뜻을 전하고 천태교관(天台敎觀)을 배워 귀국하였다. 1109년 선사(禪師)가 되었고, 인종 22년(1144) 운문사에서 93세로 입적하였다. 비는 비받침, 비몸, 머릿돌의 세 부분으로 이루어지는데, 받침돌과 머릿돌이 없어진 상태이다. 다만 세 쪽으로 잘린 비몸만 복원되어 있다. 비의 앞면에는 그의 행적이 새겨져 있으며 뒷면에는 제자들의 이름이 새겨져 있다. 만들어진 연대는 비가 깨어져 알 수 없으나, 국사가 입적한 다음해에 인종이 국사로 명하고, 윤언이에게 글을 짓게 하였다는 비문의 내용으로 보아 대략 1145년 이후로 짐작된다. 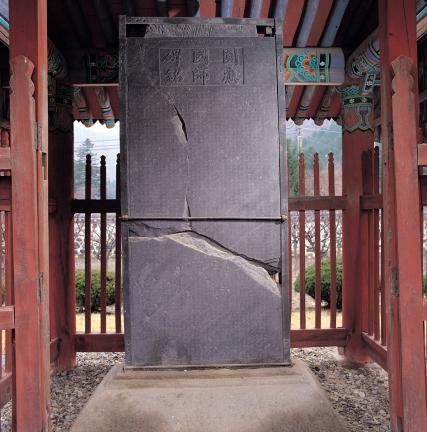 Unmunsa Temple was built by Sinseung in the 21st year of King Jinheung (560) of Silla, and was reconstructed by Wongwang, the writer of Sesogogye, (The Five Commandments for the Common People) in the 30th year of King Jinpyeong (608). 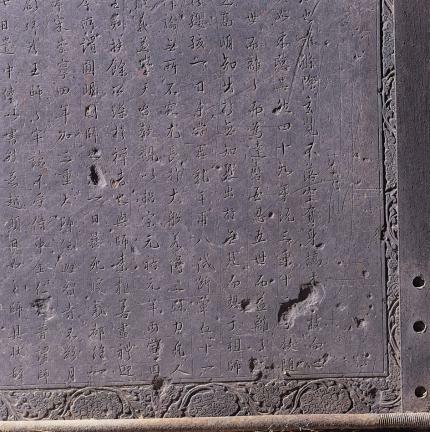 The stele at Unmunsa Temple records the achievements of State Preceptor Woneung of the mid-Goryeo Dynasty, who became a Master in 1109 after spreading Hwaeom ideas and studying Cheontae doctrines in Song dynasty China and entered Nirvana at Unmunsa Temple in 1144, the 22nd year of the reign of King Injong. 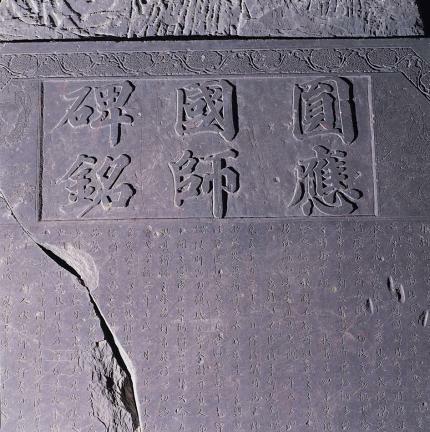 His achievements are recounted on the front side of the stele, while the names of his pupils are written on its back in a printed style. It is partly broken, so that the date of its foundation is not known. 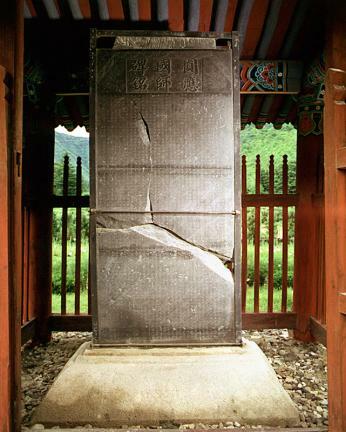 The assumption is that it was built after 1145, the year following his entering into Nirvana at 93 years of age, judging from the epitaph on stele that King Injong appointed him as the State Preceptor after his death and ordered Yun Eon-i for its writing. 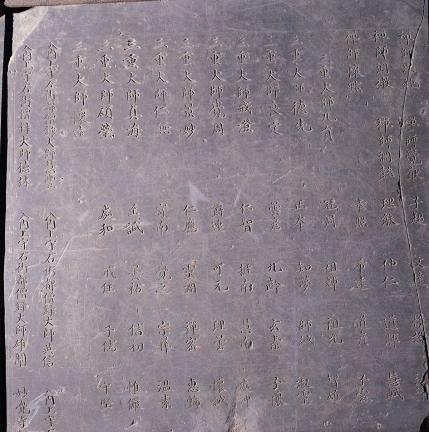 The stele consists of stylobate, body and capstone. But stylobate and capstone are missing, while the body of the stele which was divided into three parts has been reconstructed.